Ava is an adorable domestic short haired calico kitten. 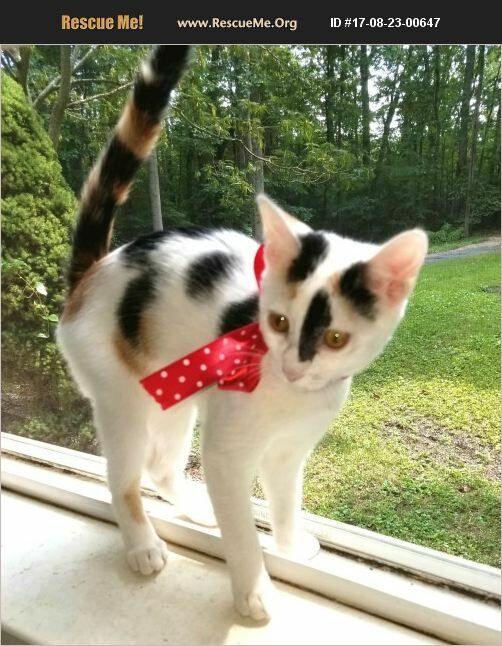 She is about 8 months old, has a great personality, and beautiful markings. Her siblings are Audrey and Spencer. Adoption fee applies. Indoor homes only. No declawing. If interested in completing an application, please contact us.